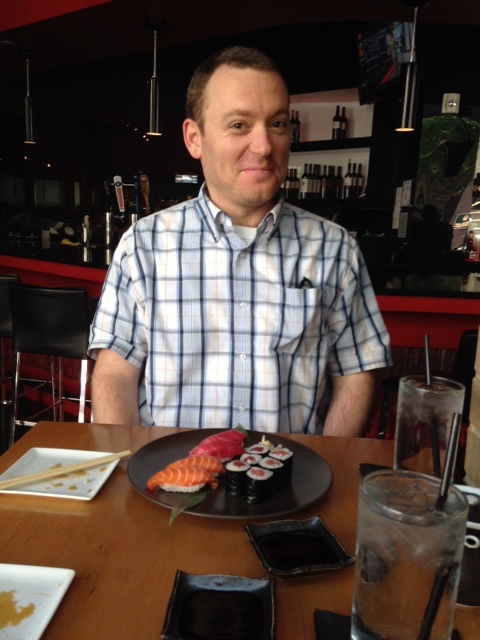 Last week was our 9th wedding anniversary, so we celebrated by going out lunch. 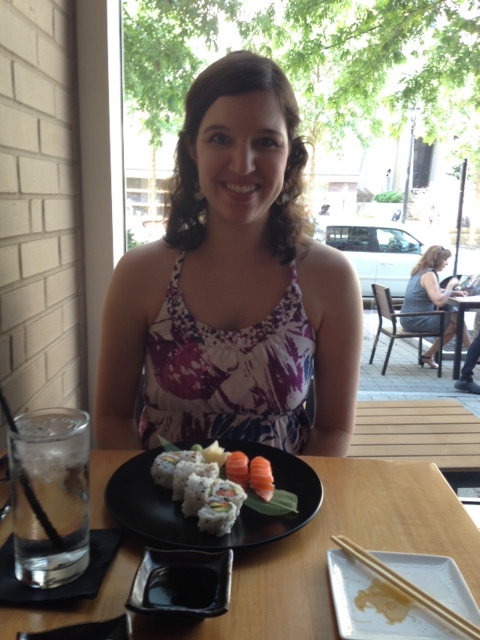 Since Caroline has been pregnant for the better part of the last two years, we haven’t had a lot of opportunity to enjoy sushi together, so we went to a nice little Japanese restaurant in downtown Raleigh and had some good (by American standards!) sushi. As our anniversary came and went, I was reminded yet again of God’s faithfulness to us in the gospel. Every year that Caroline perseveres in marriage with me — and all the sinful baggage that comes along with me — is a testimony to Jesus’ commitment to His church. Jesus’ commitment to His people is most fully demonstrated, of course, in His willingness to die for us, that through His death we might have life. This is incredibly good news for people like us who are adept at rebelling against God. This is also incredibly good news for the nation that has mastered the art of making great sushi–Japan. Our prayer is that the good news of Jesus will spread throughout Japan, freeing people from the penalty and power of their sin and enabling them to live in the liberating light of Jesus’ commitment to His church.